NEW ZEALAND faces the embarrassing prospect of being forced to host Fiji military coup leader Frank Bainimarama as a VIP during the Rugby World Cup, even though he is blacklisted from entering this country. And it's possible Bainimarama's convicted killer brother-in-law, Francis Kean, could also attend the tournament if he is successful in staging his own coup and takes over as chairman of the Fiji Rugby Union. Both men would be hosted at the taxpayer's expense, and their VIP treatment is expected to cost around $45,000. Under International Rugby Board rules, the host nation pays for two officials from each participating nation to attend. I'm sorry, what? So aside from all the corporate manufactured hoopla for sponsors of the Rugby World Cup and the Nation's psyche taking a depressive death spiral if we choke with the oppressive spike in domestic violence that accompanies, beyond all that - we have to bloody well host a dictator and his killer brother-in-law? Tell me this is some sick joke? 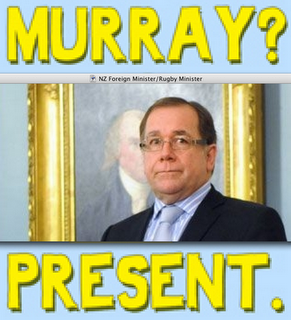 The head of Slytherin House, Murray McCully, gave himself vast powers over the Rugby World Cup, yet he can't stop a dictator and convicted killer rolling into town for a piss up? I think you will find that this provision was part of the Hosting agreement that NZ signed up for, (Under the previous Labour Governments watch it must be stated). International sporting events tend to have these sorts of clauses. Imagine if a country hosting the Olympics could decide who could or could not attend. It would spell the deathnell for the event. I also take issue with your statement about an oppressive skike (whatever that actually means) in domestic violence if the All Blacks lose. I am pretty confident that the only evidence you have to support this claim would be some anecdotal evidence from one or two Newspaper reports. This story, (in different forms), has been bandied about in a number of differnet countries about a number of different sporting events. It has even got it's own pentry in Snopes shoing why it is a load of old bunk. Gosman, domestic violence increases in time of high stress, which for many people is if the All Blacks lose the rugby world cup. It's similar to the spike in domestic violence after the Canterbury earthquake. Maybe you're 'confidence' is actually blind arrogance, attempting to ignore the problem that domestic violence is in this country. Where's the hard evidence that there is a significant spike in domestic violence around World Cup time after the All Blacks lose? I'm not talking about anecdotal evidence here but actual facts. It should be pretty easy to check this out. The Government will refuse a visa for Fiji's unelected leader and military commander, Frank Bainimarama, during the Rugby World Cup, Foreign Minister Murray McCully has made clear. He said there had been no pressure put on New Zealand by the International Rugby Board on the issue of Fiji. 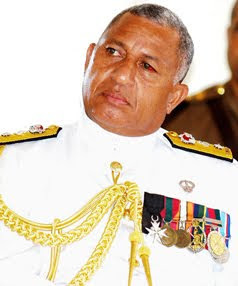 A report in yesterday's Sunday Star-Times suggesting Commodore Bainimarama could not be excluded from New Zealand if he becomes president of the Fiji Rugby Union was wrong, he said. "New Zealand is a sovereign nation. The Government determines who is able to enter this country," Mr McCully said. Also Walton88, I'm with Gosman here. Sure, someone might beat their partner if the All Blacks lose. But a person who does that probably beats their partner for a lot of things, other than something that was on TV. Yawn. You gotta get out more Gosman. So I was correct then. All you have is a couple of anecdotal stories from the Police and Woman's refuge claiming there is an increase in domestic violence. Did you bother reading the Snopes article I posted about the Super Bowl effect? I doubt very much that New Zealand Rugby Union supporters psyche differs markedly from American Football supporters.